Hangers have been sorely represented here, especially considering how often I draw them! Expect to see more coming to Imagitoons soon! 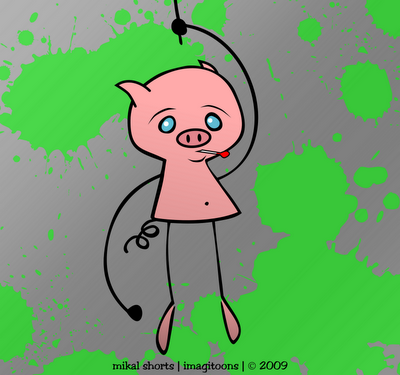 I guess that there's some reason a sick pig would be lowering himself down on a rope into a land full of paint spatters?